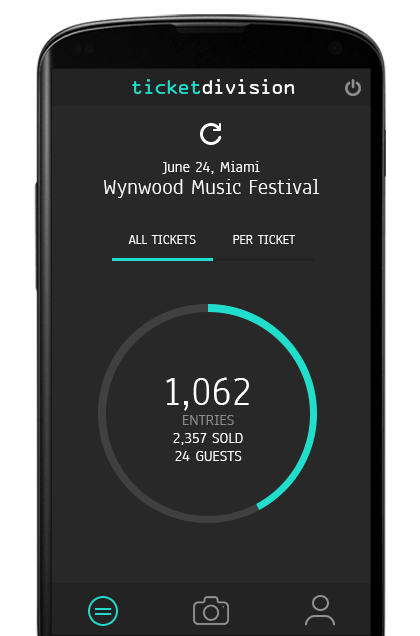 Ticket Division now allows you to invite special guests, street team members, winners of prizes and raffles and more to your events with a fully integrated ticketing system. 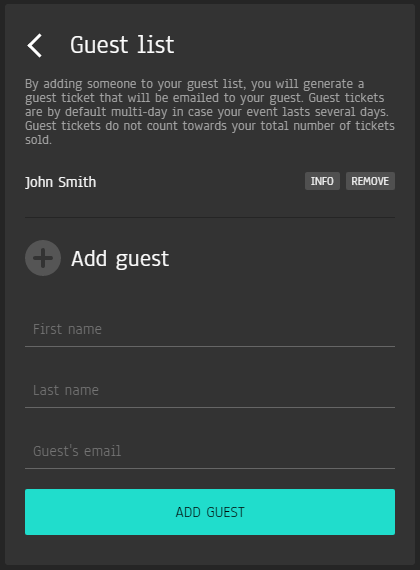 Ticket Division's new guest list feature automatically generates tickets and emails them to your guests with no limits. Simply add a person to your guest list and he/she will automatically and instantly receive a guest ticket, scannable at the door with TD Scanner, Ticket Division's free scanning app, available on Android and iOS devices. This new feature is totally integrated and guests will be listed in the final attendee list of TD Scanner. You can scan guest tickets or check in guests by name, just like any other ticket. To access your guest list, click the "guestlist" button located in the orders section of your event dashboard. You will be taken to the guest list page of your event, from which you will be able to add or remove guests. Guests can be removed from your guest list at any time. 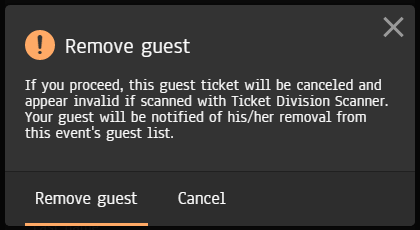 Should you decide to remove a guest from your guest list, your guest's ticket will be voided and appear invalid when scanned with TD Scanner.